NoSQL databases and Apache Spark are a potent combination for rapid integration, transformation and analysis of all kinds of business data. 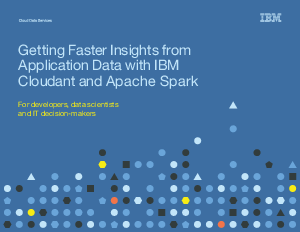 With its data syncing and analytics capabilities, IBM Cloudant offers unique advantages as a NoSQL database for many Spark use cases. IT decision-makers, data scientists and developers need to know how and when to apply these technologies most effectively. IBM can offer a host of resources and tools to help your organization gain value from Cloudant and Spark quickly, and with minimal up-front investment.